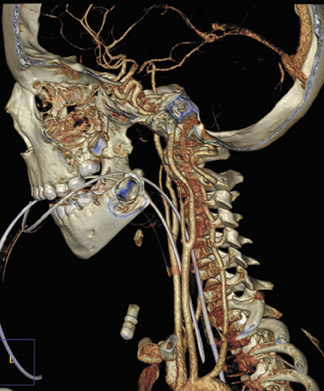 The issues surrounding optimized CT procedures are complex partly because there is a wide variety of technology throughout the healthcare spectrum. 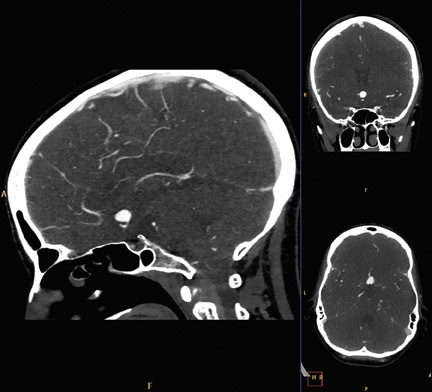 Many imaging departments are still relying on 16-slice technology. At a higher level, 64-slice CT has proven indispensable for cardiovascular studies and is generally accepted as the de facto minimum technology on which to acquire cardiovascular images. In other institutions, 128-slice and 256-slice scanners have become the gold standard for pediatric imaging, and young patients are routinely prioritized to those systems. 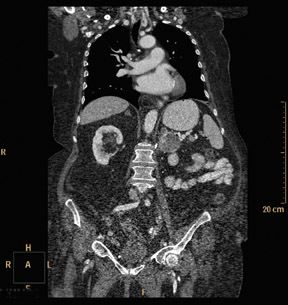 Radiologists and technologists must also continually optimize their imaging protocols to take the fullest advantage of technology, of contrast material, and of the power injector delivery system.These parameters are devised respective to the target organ, the patient’s weight or body mass index (BMI), and their age (differing protocols between adults and pediatrics). The American College of Radiology (ACR) and the Radiological Society of North America (RSNA) have both launched national dose registry projects. In 2008, the ACR expanded its Dose Index Registry Pilot Project, part of the National Radiology Data Registry (NRDR). The Dose Index Registry is in a pilot phase and could be rolled out nationally as early as 2011. Similarly, the RSNA is funding the Quality Improvement Registry for CT Scans in Children as a pediatric-specific national registry. These registry efforts are important because there is precious little insight into what is a “standard dose” as well as what the effects of this dose could be. The medical community has historically measured the longterm effects of low levels of ionizing radiation by extrapolating data from the survivors of the atomic bombs that were detonated in Hiroshima and Nagasaki, Japan.1 The primary study cited in the CT dose debate was published in the New England Journal of Medicine, and touched off much of the national scrutiny that now surrounds radiation dose. As a result, efforts extended across the industry to image more responsibly. Legislatively, clinicians will increasingly be called to task to account for radiation delivered in CT procedures. In California, legislation (SB 1237) passed in the State Senate stipulates that health facilities using CT must record the radiation dose delivered to patients effective on July 1, 2012.2 The dose must be recorded as both the dose length product (DLP) and the volume CT dose index CTDIvol. This legislation could create a domino effect for similar statelevel mandates or could spur the need for this type of reporting to become a national directive.The bill also requires CT services to be accredited by an organization approved by the Centers for Medicare & Medicaid Services (CMS). Further, it calls for facilities to report any overdose to the patient or to the treating physician to the California Department of Public Health. These types of dose reports had not been routinely collected in the past and now a variety of methodologies exist to retain this information. The availability of a dose registry will create the ability to set national guidelines for what an acceptable dose is and will also define an excessive dose. At the University of Chicago Medical Center, Chicago, IL, all dose reports are sent to the picture archiving and communications system (PACS). In addition to those reports, the University of Chicago Medical Center is also collecting information about the patient’s BMI and body weight. This will allow the University to create its own internal dose registry. “With this dose registry comes the ability to better understand what is being delivered to a wider range of patients,” said Michael W. Vannier, MD, Professor of Radiology, University of Chicago Medical Center, Chicago, IL. To exemplify why a national dose registry is needed, a 2009 report on radiation dose in cardiac CT angiography (CTA) from the Protection I Trial investigators showed that when looking at the effective dose in millisieverts (mSv) there was a 6-fold dose variation across 50 participating sites.3 Part of the challenge of reducing dose is overcoming the subjectivity involved in CT imaging. As a result, dose levels can vary among single institutions, multiple institutions, and across countries. “As we optimize the dose by modifying the scan parameters, the challenge becomes how to prioritize the different dose-saving tools for individual patients. We make these decisions not only by adjusting the tube current (mAs) but also by selecting when to use lower tube voltage (100 kV) imaging based on body size/BMI,” said Paul Schoenhagen, MD, Staff Physician, Department of Diagnostic Radiology and Cardiovascular Medicine, Cleveland Clinic, Cleveland, OH. Dose savings can also be achieved based on the scan target. For instance, some areas of the body allow clinicians to further modulate the radiation dose. There are additional mechanical tools available to mitigate radiation dose to sensitive organs, such as the breast and thyroid. “We can further reduce radiation dose by using breast and thyroid shields routinely, performing only indicated exams, irradiating only the necessary area (not scanning too high and too low), performing only single-phase studies, and optimizing protocols with a willingness to accept a small amount of noise,” said Kate Feinstein, MD, Associate Professor of Radiology, Section Chief, Pediatric Radiology, Comer Children’s Hospital, The University of Chicago, Chicago, IL. Even more exciting, dose reduction can be realized as a result of iterative reconstruction (IR) techniques, which are now available across the industry. Philips offers a fourthgeneration IR solution called iDose4.The solution is available on all levels of scanners from the Brilliance 64 to the iCT to the newly released Ingenuity CT, which has builtin iDose4 capabilities. iDose4 provides flexibility in a novel way compared to other similarly marketed techniques as a result of its fourth-generation design. This novelty manifests itself in a choice that is fundamentally rooted in clinical practice. Rather than working in terms of a blending percentage, iDose4 allows the user to select a clinical goal: greater dose reduction with maintained image quality, significant dose reduction with improved image quality, or maintained dose with improved image quality. During beta testing, these three categories have been demonstrated to provide up to 80% dose reduction, up to 50% dose reduction with a 33% improvement in spatial resolution, and up to a 68% improvement in spatial resolution, respectively (Figure 1). In some earlier versions of IR techniques, radiologists reported that images had a “plastic” texture. This textural appearance results from a shift in what is known as the noise power spectrum (NPS) of the image.This shift—sometimes as much as 20%—reflects not only the magnitude but the frequency of noise in the image. 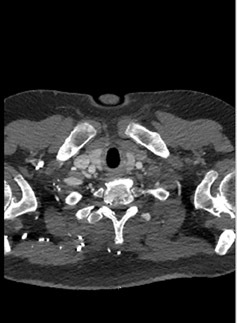 Earlier generation IR techniques either had difficulty preserving the NPS associated with conventional CT images or may not have attempted to preserve the NPS at all. In comparison, iDose4 has been shown to reduce any resulting shift in NPS to 5% or less—leading to more natural images, even when obtained at dose reductions of up to 80% (Figure 2). 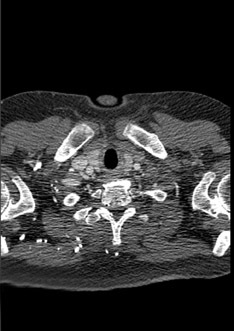 With a rapid acquisition modality like CT, the other historical impediment to using IR techniques has been increased reconstruction times. iDose4 has decreased those reconstruction times, with reconstruction rates of approximately 20 images per sec. For example, a 1,851-slice abdominal scan with iDose4 can be reconstructed in about 93 sec (Figure 3), and a 667-slice chest study can be reconstructed in about 35 sec. As IR levels are set across an institution, it becomes important to obtain radiologist buyin that the image quality is diagnostic. For instance, at Oregon Health and Science University the routine dose savings realized in pediatric imaging using iDose4 is 40%. The advances in dose reduction, provided by tools like iDose4, are pushing CT imagers toward a new goal of acquiring sub-millisievert studies for all applications (Figure 4). Brenner DJ, Hall EJ. 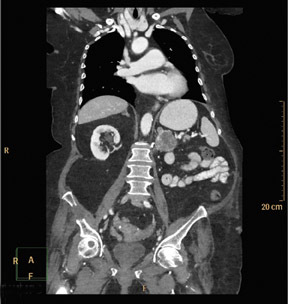 Computed tomography — an increasing source of radiation exposure. N Engl J Med. 2007;357:22772284. American College of Radiology. Summary of the California Senate Bill 1237. Available at http://www.acr.org/ HomePageCategories/News/ACRNewsCenter/CaliforniaStateSenateBill1237.aspx. Accessed November 1, 2010. Hausleiter J, Meyer T, Hermann F, et al. Estimated radiation dose associated with cardiac CT angiography. JAMA. 2009;301:500507. Reducing Radiation Dose. Appl Radiol.